Several non-food crops provide important alternative cash income in Texas. These include trees, unique oil crops, hemp, sod, and wildlife plots. Castor. In 1960s, more than 20,000 acres were grown around Lubbock and processed in oil mills. Today there is no commercial production due to cheaper imports but there are some reports of 10 acres for planting seed. Castor produces a high quality oil used in industrial equipment, paints, aircraft and space lubricants, and other uses; less than 1% is fed to youth as a laxative. Seed contains ricinine which is highly toxic if eaten. Castor is now on the Homeland Security biohazard list after years of open production in the U.S.
Christmas trees. 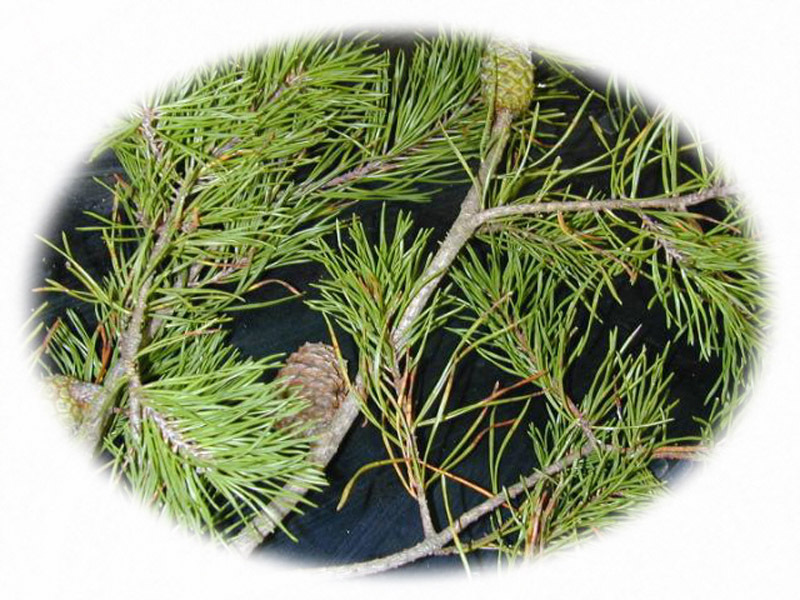 Planted on 1,500 acres, 90% are east of I-35 and on sandy soils; 70% are Virginia pine, 20% Afghan pine, and 5% Layland cypress. Seedlings planted, frequently drip irrigated to assure summer growth; requires good weed control to get bottom limb growth. Pruning and shaping essential for market-ability. Pines may be sprayed with a dye for more intense green coloration. Usually harvested after 5 years, with gross sales of $10,000 per harvested acre (average of $2,000 per planted acre if sequential plantings). No major disease problems but pine tip moth requires treatment every year and aphids in some years. Most tree farms are near metro centers for seasonal marketing and family experiences. Flax. 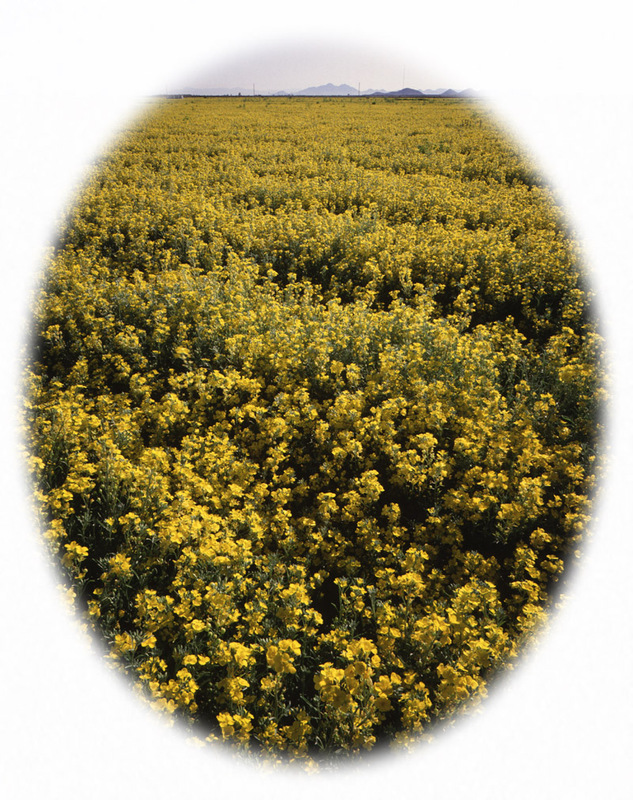 No flax is raised today but prior to 1970, flax was grown on 40,000 acres in South Texas. Winter-hardy varieties were short-strawed to maximize seed yields for production of linseed oil, an unsaturated oil used in paints. Flax, a winter annual, was cultured similar to small grains, seed was sold through a cooperative at Karnes City and shipped north. Some flax straw was baled for paper but the last unsold large supply mysteriously caught fire. Fiber varieties are typically taller but not raised in Texas. Guayule. This North American crop was grown on 30,000 acres during World War II to supply natural rubber. This slow growing perennial does well in desert areas. Small experimental/observation plots with Firestone near Fort Stockton. In AZ, Yulex, Inc. has planted 500 acres in a quest to produce a natural latex for high-end medical and surgical products with non-allergenic properties. 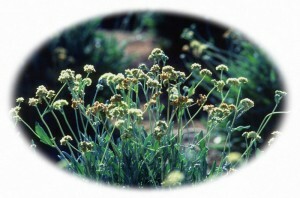 Yields average 1,000 pounds of guayule rubber per acre worth 40 cents per pound. In AZ, a pilot plant is designed to handle 750 tons of biomass in anticipation of producing natural latex; if successful, then plans to expand production to NM and TX. Hemp/Marijuana. Originally an important cordage crop, raised for fiber in early days for burlap bags used for shipping. 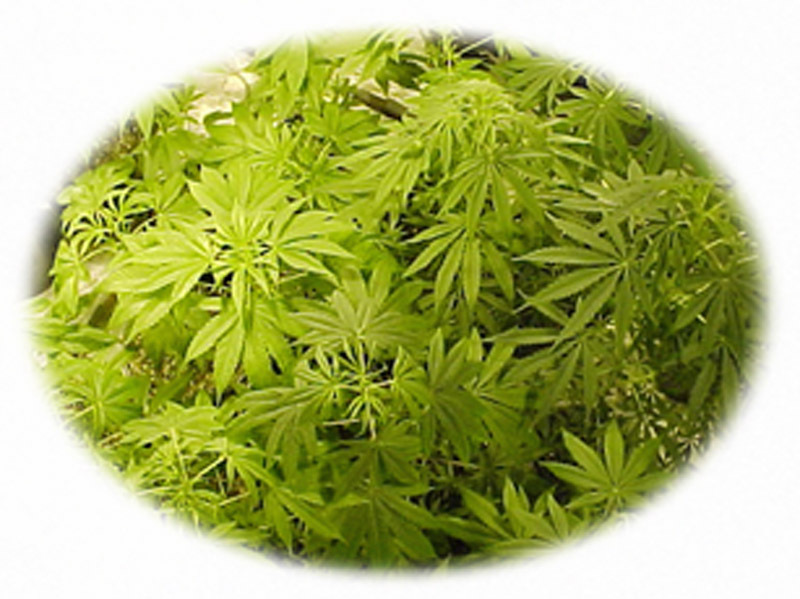 Now grown for seed and leaves for narcotic resin from Cannabis in small hidden plots of 0.1 to 0.5 acres in secluded areas along creek banks. Larger plots (5 acres or more) may be hidden if by tall crops such as forests or corn. While no firm statistics are available on the acreage producers, estimates range from 1,000 to 2,800 acres, with 80% of the production east of I-35 and remainder within 80 miles of metro centers, such as Austin. The real weeds are controlled by hand hoeing and selective herbicides but no pesticides are labeled. Diseases include Fusarium wilt and bacterial leaf diseases. In many states “medicinal hemp” sales exceed those of any other crop. Kenaf . A new alterative crop was evaluated in LRGV without economic success. Some acres still maintained for seed production. Some production in Mississippi for newspaper fiber. Crop is desiccated by frost; chopped material stored in modules before processing. Few pests but potential concerns for white fly, powdery mildew, leaf spot, cotton root rot, and leaf deformation. Lesquerella. A perennial shrub-like plant common in the desert, selected and cultivated for production of high quality industrial oil, similar to castor, with on-going research at Pecos, TX and AZ. No commercial production in Texas but 50 acres are planted for research in cooperation with AZ. Irrigated production usually yields 1,800 pounds of seed per acre; would require a price of 15 to 20 cents/pound to be profitable. Produces best if fall-planted, irrigated, and level ground for combine harvesting. Meal may be fed to livestock after oil is extracted. Sod/turf production. Turfgrass is a major crop since Texas includes three of the top ten metro areas in the U.S. (Dallas/Fort Worth, Houston, and San Antonio). Production of sod for planting at residential and commercial sites is generally east of I-35 and south of Houston in the Bay City/Coastal Bend region, with additional production near population centers such as Austin and D/FW. Commercial sod grown on 54,000 acres includes St. Augustine (70%), bermudagrass (26%),Zoysia (2%), and the remaining 2% from centipede, buffalograss, bluegrass, tall fescue, and Seashore Paspalum. Sod is harvested nearly year-round and is marketed as rolls or placed neatly on pallets. Less than 5% of the acreage is produced as certified sod but varietal purity and freedom from weeds and fire ants are important in wholesale and retail markets. Certified sod production is nearly 900 acres and includes bermudagrass-200 acres, St. Augustine cultivars – 135 acres, and several new zoysia cultivars – 500 acres. Seed of Kentucky bluegrass, turf-type tall fescue, bentgrass, and perennial ryegrass is produced in Oregon and wholesaled into Texas. Bermudagrass seed comes from Arizona. Insects include white grubs, sod webworms, fall armyworms, and fire ants. Several diseases to contend with – usually weather or temperature related. Wildlife food plots. Food plots are commonly planted in the Hill Country and South Texas to attract wildlife, such as deer, exotic game, dove, and quail for hunting, birding, and non-consumptive recreation. At least six seed firms provide specific blends. Spring-seeded blends consist of several legumes (such as cowpeas, soybeans, lab-lab and others, some are pre-inoculated), sunflower, sorghums, and millets. Fall blends consist of small grains (particularly wheat and oats), clovers, and Austrian winter peas. Oat, wheat, and other commercial or non-blended seed is also planted. Food plots are planted in 2 to 10 acres at scattered locations on ranches or hunting preserves. Our estimate of annually seeded acreage was based on estimates from seedsmen and wildlife specialists and does not include CRP perennial grassland planted for soil stability and small game and bird habitat provided on an additional 4.2 million acres in West Texas. 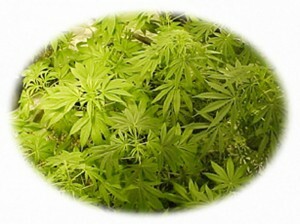 Hemp/Marijuana 1,200 $4,200 $5,040 An unreported crop. No regional estimates.